Imagine sending drones instead of people into dangerous wildfire management situations. 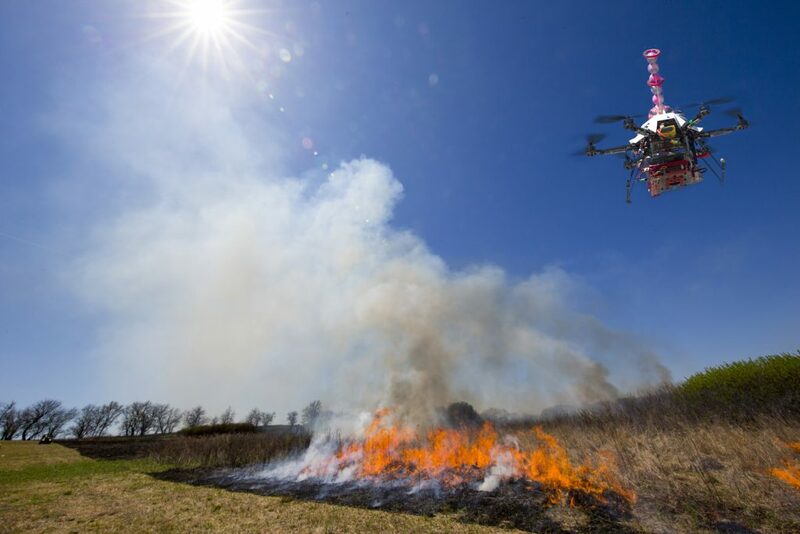 UNL researchers are developing fire-starting drones that could change how wildfires are fought and aid prescribed burns that rejuvenate prairies and quell invasive trees that threaten grasslands. 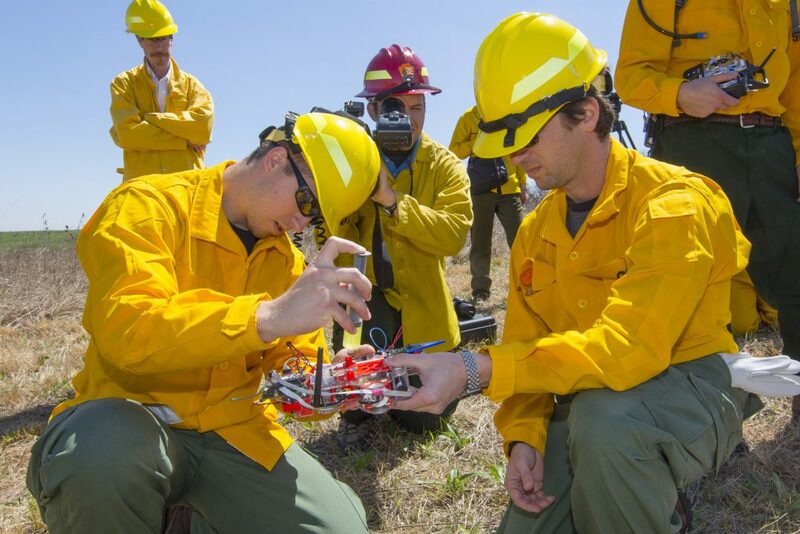 Team leaders Sebastian Elbaum and Carrick Detweiler, UNL computer scientists and drone experts, envision their technology someday becoming standard safety equipment for wilderness firefighters. They’ve field tested drones small enough to fit in a backpack but smart enough to navigate in dangerous conditions. Drone flies over controlled burn at the Homestead National Monument of America after dropping fire-starting balls. James Higgins (left) and Sebastian Elbaum reload drone’s ignition device. Sebastian Elbaum scouts the drone. 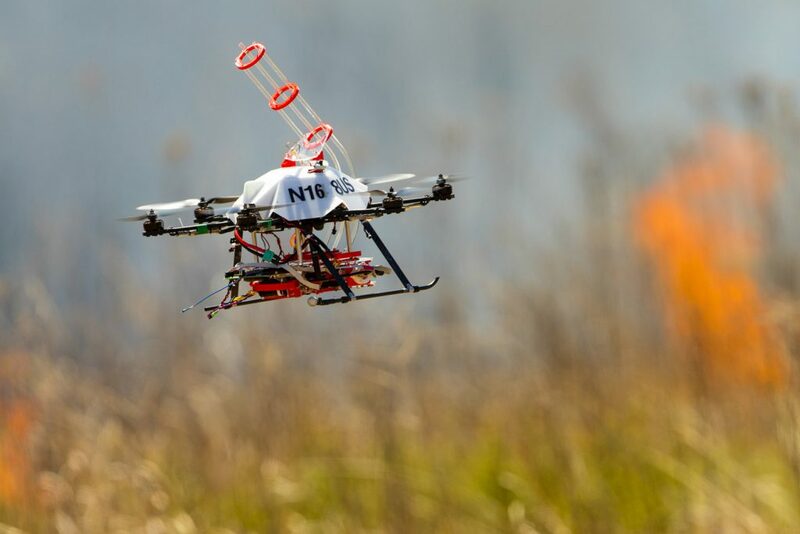 A drone flies into position to drop fire-starting balls at a controlled burn. “UNL is pioneering this merging of two very risky, highly regulated technology fields: fire and unmanned aviation,” Elbaum said. 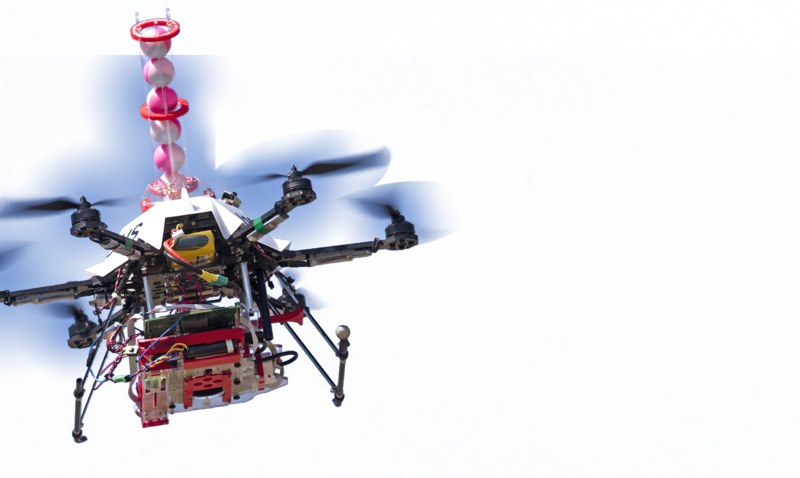 Their drones carry a cargo of ping pong-like balls filled with a powder. Before release, balls are injected with glycol, triggering a chemical reaction. Balls drop and ignite within 60 seconds. A similar method is used to start conservation fires using helicopters and hand-held launchers, Detweiler said. Drones also can be flown over fire lines to monitor conditions and gather data. Prototypes have performed well in field tests, including a prescribed burn in April 2016 at Homestead National Monument of America, in cooperation with the National Park Service and the U.S. Department of the Interior. Elbaum and Detweiler co-direct UNL’s Nebraska Intelligent Mobile Unmanned Systems, or NIMBUS, laboratory. They’re patenting their technology through NUtech Ventures, UNL’s technology commercialization affiliate. 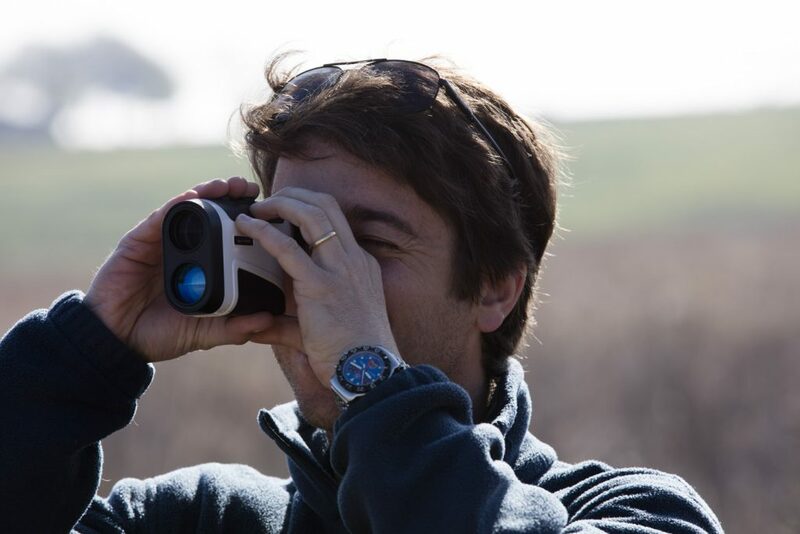 Fire is a powerful tool for restoring grasslands and one of the most effective ways to control invasive species, such as eastern redcedar, said Craig Allen, director of the Nebraska Cooperative Fish and Wildlife Research Unit, and Dirac Twidwell, a fire ecology expert, who are part of UNL’s multidisciplinary drone development team. Twidwell leads a Nebraska Game and Parks Commission-funded project to develop tools to control invasive cedars. “We need to burn more, but we can’t because of logistics,” Allen said. Drone technology will make prescribed burning easier and safer, they said. Federal officials are interested in trying the drones on more rugged federal lands. “A tool like this might be one of the answers to making these fires safer,” said Mark Engler, superintendent at Homestead National Monument of America.